This is one of those books where I can appreciate what the author was trying to do, but I’m not sure I was the right audience for it. 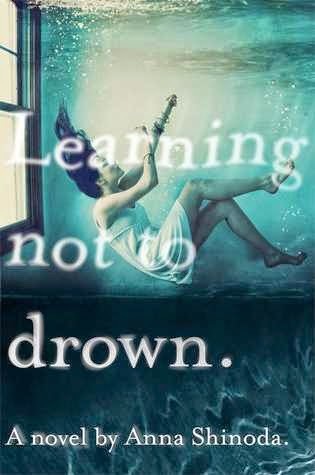 LEARNING NOT TO DROWN is a dark, disturbing tale from Anna Shinoda about one girl’s struggle to realize that her family isn’t what she thinks. That everything she knows is a lie and yes, they are teetering on the edge of full blown disaster. It’s that book you know can’t go anywhere but downhill and there won’t be a happy ending. But still, I entered into this book hopeful that I could connect with it. The book is told from Clare’s point of view, and while I liked her as a narrator (she’s vulnerable and open and innocent), I wasn’t a fan of Skeleton. Shinoda brings figurative skeletons into real life by having Clare talk to Skeleton like he is a real thing. And maybe because I don’t have my own Skeleton (do I have some dark moments that still haunt me? Sure. ), I couldn’t get it. In a lot of ways it felt like this book was more cathartic for the writer than anything else. I could see Shinoda fighting hard to work out her own issues with Skeleton and I applaud her for it. I just feel like it was walking a line between self-help and fiction, and that didn’t work for me. Ummm...I'm going to say this probably isn't for me, either. I mean, everyone has their dark bits but, like you, I don't have or need a "Skeleton" figure. It does sound like it was written more for just the writer (not that that's a bad thing -- you should write for yourself). Sorry it wasn't as good as it's awesome cover!